You are here: Home / Government / News / City News / Want to help save our rivers & streams? Love to paint? Want to help protect our local rivers and streams? The City of Kingsport Stormwater Department, with the help of the Office of Cultural Arts, is seeking local artists and creative minds to paint up five storm drains in the downtown area to raise awareness about the importance of protecting our rivers, stream habitat, and aquatic wildlife. • Send a color sketch of your proposed artwork around a storm drain. Artwork should be roughly 2’x4′. • Artwork may include the street, sidewalk or both. • Text is encouraged to convey the educational stormwater message. • Be sure to include your name, phone number and email. 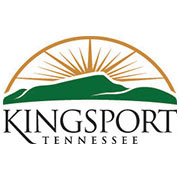 For more information on the storm drain art contest and stormwater in Kingsport, please click the link here. https://www.kingsporttn.gov/wp-content/uploads/K-180x180.jpg 180 180 adrienne https://www.kingsporttn.gov/wp-content/uploads/logo-1.png adrienne2018-06-28 08:31:362018-06-28 08:31:36Want to help save our rivers & streams?